These days if your business is not on social media you run the risk of being considered a little behind the times. 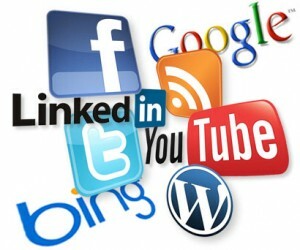 In fact, social media marketing for business is essential. But being inconsistent on social media can be just as potentially damaging as not being there at all. One of the absolute keys to success in social media is to keep your statuses updated and your posts current. And this means dedicating time and some thought to social media. It also means that you should be sensible about which channels you get involved in and how much time you spend there. We hear numerous stories of business owners spending hours each day trying to ‘engage’ with the Facebook crowd, ,or tweeting every 15 minutes, or getting into in-depth discussions on LinkedIn. Yes you have to make a commitment to be there and to respond but don’t let the hype-mongers dictate your level of involvement. So here’s a few pointers to help you make the most of your commitment to social media without wasting your working life trying to make it work. 1 – use Hootsuite – This is a great free tool that helps you manage your Twitter accounts, even better is that you can respond to those who engage with you and also schedule tweets ahead of time. A client of ours schedules her tweets for the week on Sunday so she gets them all out of the way in fell swoop. She then dips in to hootsuite once a day for a few minutes to respond to messages and retweets. 2 – go into Facebook only once a day – unless you’re advertising on the site there’s little business need to be on Facebook for more than a few moments each day. Your twitter feed can be set to automatically update your Facebook business page so you’ll only need to respond to your fans and this shouldn’t take long each day. 3- Focus on quality blog posts rather than quantity – this is a biggie because from an SEO point of view your blog could become the most important part of your website (and your blog should be part of your website). Too many people panic when it comes to blogging, they think you have to posting something each day. In reality just a few times a month would work, as long as you’re consistent. Posts of between 250 and 400 words are ideal. But if you struggle with even this then you should consider a blog writing service (especially if your time is worth a lot). 4 – Go into Linkedin at lunchtime only – the traffic on LinkedIn goes up sustantially at lunchtime which is when many employees are allowed to use social media at work. This isn’t a bad trend to follow because it means that you can impose the self-discipline to do this for a few minutes each day. You should set it up so your twitter is fed into your profile and only go on there to respond to mails and discussions. OK, so I’ve only picked on a few of the many social media channels out there but if you work this right you should be spending no more than about 20 minutes each day on all of this. The most important thing is to be disciplined and committed. Tweet everyday, respond to Facebook followers everyday, blog every week(ish), and connect on Linkedin daily. If you can’t manage all of this then maybe you should consider withdrawing from certain channels because it’s better to not be there than to have it and neglect it. If you’re still struggling with this then why not consider buying a few hours of social media training. Call Karl on (0116) 3552194 for an informal chat about what’s involved.